The North American cultural landmark, Bata Shoe Museum, selected NKPR to spearhead the public relations strategy for its presentation of the highly anticipated travelling exhibition, MANOLO BLAHNIK: THE ART OF SHOES. 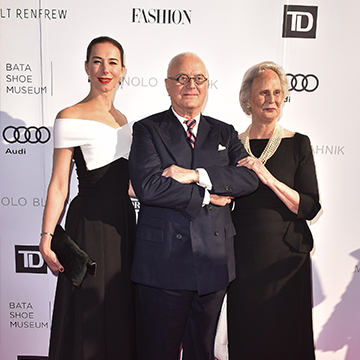 Support the launch of MANOLO BLAHNIK: THE ART OF SHOES at the Bata Shoe Museum in Toronto through the development of a robust and strategic North American PR plan to generate widespread awareness and excitement for the exhibition’s final and only North American stop. NKPR was tasked with creating a groundswell of buzz surrounding the launch while continuing the momentum throughout the exhibition’s residency at the Bata Shoe Museum from May 16, 2018 to January 6, 2019. 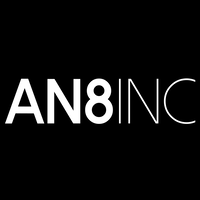 Delivered strategic counsel to ensure target audiences were educated on and engaged with the exhibition, working closely with all strategic partners including sponsors, media and museum boards as well as the Manolo Blahnik team to maximize all opportunities. Conducted strategic and focused media relations targeting key local, national and US media to generate meaningful coverage for the exhibition, driving interest and increased visits from both locals and visitors to Toronto alike. Developed a digital media amplification strategy, working collaboratively with the Bata Shoe Museum team to reach new audiences in the fashion, arts and culture spaces through online engagement. Guest list curation, camera outreach, on-site interview management for key spokespeople/talent, and logistical support for the official Press Preview. Red carpet management at the Opening Reception Gala, facilitating key broadcast interviews and photo opportunities with Mr. Blahnik. Generated over 133 million media impressionsfor MANOLO BLAHNIK: THE ART OF SHOESthrough a combination of local, national and international press stories across print, digital and broadcast platforms. Press coverage was strategically published in the lead up, during and post-launch, to continue to drive momentum and visits throughout the year. Highlights of press features on the exhibition include: The New York Times, FASHION Magazine, CityLine, eTalk, Your Morning, CTV, CBC, Breakfast Television, BNN, Toronto Star, Globe and Mail, Canadian Living, Montecristo Magazine, The Monocle (Monocle Magazine), ELLE Canada and more. Secured an international digital media partnership with The Coveteurto amplify awareness and excitement for the exhibition through their extensive online readership and social reach. Maximized existing media partnershipsto heighten awareness through their engaged readerships.